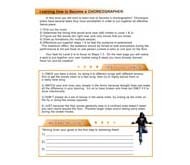 -220 Fresh Dance Moves total, including floor work and jumps! 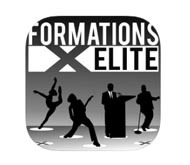 *iPad Version includes software formations program! 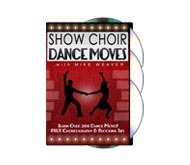 -100 Fresh Dance Moves total, including floor work and jumps! -20’s dance moves to Present Day Pop and everything in between. -All moves include Video with Description! Kevin Andrews got his start Hip Hop dancing after winning a contest in High School where he got to meet Britney Spears & sit front row at her concert (a long time ago) during her very first tour! So the very next day Kevin enrolled in Jazz & Hip Hop at the local studio in Madison, WI. Kevin took several trips to Los Angeles where he knew this is what he wanted to do but first he decided to get an education at a University (UW-Stevens Point). Taking dance classes everyday & learning about business fueled Kevin until he could take it no longer and decided to make the move to Los Angeles, CA! 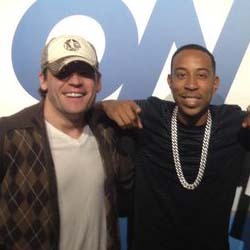 While in Los Angeles, Kevin added several credits to his name including movies, music videos & Choreographing for GNC at the Mr. Olympia World Bodybuilding Championships in Las Vegas, NV. Upon reevaluating his long term goals, Kevin decided to go back to college and finish up his degree (Western Kentucky University). So while completing his college degree, Kevin lived near Nashville, TN where he learned Ballroom dancing & danced for on the CMAs. 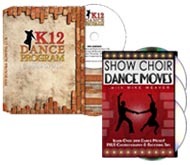 While learning Ballroom dancing, Kevin noticed how organized the Ballroom system was and started to ponder how he could bring that same comprehensiveness & student planning to Hip Hop dancing. 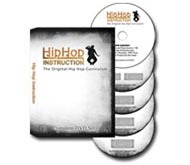 After 6-tireless months of work and dedication, Kevin has developed the Original Hip Hop Curriculum, Hip Hop Instruction! Kevin currently works on music vidoes, live stage shows, choreographing routines, teaching dance, judging competitions, and showing people how to use curriculums effectively. Recently, Kevin also co-choreographed on 'Dancing With The Stars' on ABC! -Right click each file and select "Save As"